Discover our most popular sewing patterns and collections right now! They may be old or they may be new, but one thing's for sure: these pages and projects are helpful for and loved by sewists of all skill levels and backgrounds. Sewing is for everyone, from those first learning how to thread a needle to professional designer sewists. If you want to learn how to sew, this list of free beginner sewing projects will start your sewing escapades on the right foot! Nobody wants to spend a fortune on new clothes. With the help of these free clothing patterns and ideas, now you don’t have to! Eliminate the stress of staying in style when you learn to sew clothes with these stunning tutorials. Learn how to make a handbag or purse using any of these free bag patterns. You'll love sewing your own bags and these free purse patterns have everything you want. Find designs for practically any style of purse you're looking to make. Check out these exclusive tips, tricks, and tutorials from AllFreeSewing! Whether you need a guide to different stitches or instructions on how to use a needle threader, we've got you covered. AllFreeSewing is dedicated to the best free sewing patterns, tutorials, tips, and articles on sewing. From beginner sewing patterns to complex free dress patterns, we find and deliver the best free sewing patterns from all over the web. Plus, we feature free product reviews and giveaways of all the latest and greatest products including fabric, sewing books, patterns, and more. 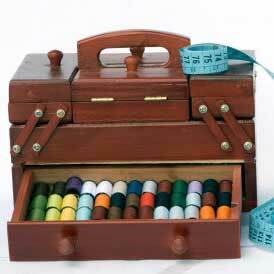 AllFreeSewing is the online resource for sewists of all skill levels. Free email newsletter, Sewing It Up: Enjoy a wide variety of free patterns delivered right to your inbox! You’ll have a wide variety of sewing patterns to choose from including dresses, baby patterns, bags, home decor, holiday patterns, and more. Every issue of Sewing It Up features gorgeous sewing photos, inspiring free sewing patterns, and video tutorials that sewists are sure to love. Sign up here! AllFreeSewing User Account: Create a FREE account on AllFreeSewing for access to user features such as commenting on patterns, adding private notes to patterns, rating patterns, and a personal Sewing Patterns Box. With your own personal Patterns Box, you can save your favorite free sewing patterns from all over AllFreeSewing.com in one place. Create a FREE account today!